When I was eight years old, my mother bought me Grumpy Bear. Much as I adored him, more often than not the sulking blue plush would find itself launched at the slammed door in a fit of temper. Thus I came to associate that sort of frowny pout both with catharsis and the incorrigible urge to hug the bear-er. JG Thirlwell has long inspired both, and his last Foetus album proper, LOVE, collected the sort of woobie anthems that bring out the Elmyra Fudd in the best of us. I think it’s a girl thing: when Bethesda Game Studios introduced us to the “god of madness” in Shivering Isles, the boys revelled in the darkly-comic horror while the girls developed mad crushes on Sheogorath (who bore such a resemblance to Thirlwell in its predecessor, Daggerfall). Foetus could be the soundtrack to that bipolar realm. It’s mood swing music in a way that is intensely soothing to us and alienatingly overbearing to everyone else: intense, vibrant, dark and moody, unforgettably beautiful, and sometimes bloody horrifying. Of course, HIDE sounds crap on paper – the sort of spectacularly pretentious description (opera singers? Latin?) that would in most circumstances provoke you to roll your eyes and reach instead for something by Disturbed. Then again, a) all-time classics by Led Zep and Queen were just as inherently silly and b) Lydia Lunch collaborations aside, Thirlwell’s never made a bad record. On first listen, HIDE sounds like a combination of three of my all-time favourite albums: Pink Floyd’s The Wall, Levitation’s Need For Not and Cardiacs’ On Land and in the Sea. It has Floyd’s sense of scale, Cardiacs’ dramatic eccentricity and Levitation’s creeping, insistent paranoia. Even the sleeve art for HIDE echoes the Illuminati symbolism of Levitation’s underrated opus, but of the three, the closest parallels have to be drawn with Cardiacs. Sure, Thirlwell’s outlook is much gloomier than Smith’s, but each has inspired countless popular acts while remaining perversely ignored, except by an adoring base of lifelong devotees. Listening to HIDE tells me that, like Cardiacs, I’m going to love Foetus for the rest of my life. Cosmetics kicks off with the famed opera bit, Abby Fischer belting out phased multitracked lines before crashing into the sort of shamelessly overblown classical-rock song that people from Norway are so keen on, if only it didn’t keep getting bored of the current time signature and bounding off in another direction. It’s the sort of music Mike Patton really ought to be making … except now we’ve got creepy robot vocals to back up the operatic warble and … wait! What the F***?! Did he just throw bhangra into the mix? Just as we’re thinking HIDE is a natural succcessor to the glorious, punishing noise of GASH, Paper Slippers shows us Foetus’s sweet side. It’s a lovely blend of the Beatles’ Day In The Life and Floyd’s Us and Them, though the distorted guitars and drums put me in mind of OK Computer. Stood Up could be a sequel to LOVE‘s Time Marches On, only the tone is darker, quieter and sadder. It’s another tale of love, loss and regret that could probably land him the lead role in Spooks (collective swoon). “I could exfoliate the skin right off your face” is not a line I’d like to be on the receiving end of – at least Lucas North would just stand there brooding until the sheer intensity of his gaze melts your brain. I bet Thirlwell’s really good at that. The brass on this is great. Here Comes The Rain is a very strange choice for a single (the previous two would be my picks). Slow, thunderous, daunting soundtrack music, basically. It’s quite a nice song, but it’s much like if Pink Floyd released Is There Anybody Out There from The Wall. In common with the rest of this album, the song is both timeless and contemporary. Oilfields is There Will Be Blood starring The Omen’s Damien. Ominous. Did I use the word “portentous” yet? It’s the end of the world as we know it, and he don’t feel fine. Now Roland Emmerich is directing, and we’re that mad hippy at Yellowstone Park, raving about how beautiful it all is as the world explodes around us. Concrete … well, I know that he wants to split the album up and it is only two minutes, but it’s like whenever Foetus has done these cacophonous little interludes before – I simply skip those tracks. He seems to be playing with a polystyrene cup and it’s setting my teeth on edge. The Ballad of Sisyphus T. Jones is exuberant spaghetti western music that gallops along with aplomb. It’s the closest HIDE gets to actual fun. About halfway through it builds up into an epic symphonic score and then lets that border-town score edge its way back in – a lively duel between Ennio Morricone and Danny Elfman. Fortudine Vincemus – the fabled Latin track – is only 47 seconds long, which is a shame because it’s splendid. You’re Trying To Break Me reminds me at first of How To Vibrate from LOVE, only without the mildly irritating wobbly vocals. The whole thing seems to work a lot better here, and it’s the closest HIDE gets to actual rock – it could equally fit on GASH or THAW. It’s giant, thunking 70s rock – Led Zeppelin – shredded and blended with so many diverse elements it will take a dozen listens just to take it all in. O Putrid Sun is apparently inspired by the death of one of JG’s friends, and it’s beautiful. It’s sweet without being cloying – just vocals, strings and piano at first, bringing in a wavering bass synth that simultaneously evokes Air, Massive Attack, Radiohead and Pink Floyd. It’s over far too soon. On first or even second listen, it’s just too much information to process. It’s an album that needs time to breathe. At this point I’m not sure if it’s my favourite album, but it’s certainly met or even exceeded my expectations. It’s a similar feeling to when I watched Avatar or Lord of the Rings – there’s a sense in which it doesn’t matter if it’s better or worse than x because it’s such a breathtaking, monumental technical achievement that it’s in a category by itself. As his sixth genuinely outstanding (as opposed to merely excellent) album, HIDE places Foetus in the same rank musically as the all-time, stadium-filling giants of rock. Despite matching The Wall in scope, ambition and – yes – quality – it’s not going to sell 20 million copies, which is an outrage. The Latin chorus evokes the wrath of some ancient Roman god cursing this masterpiece to undeserved obscurity, rendering us unable to fully describe it in order to entice others to give it a listen. It’s just so bloody frustrating. 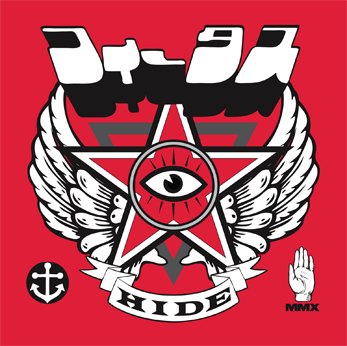 Hide my heart came in two days is the fourth time that I hear and I can not skip any track is an excellent album. The ballad of Sisyphus T. Jones reminds me a lot to The Rolling Stones´s Mother´s little helper.